Danganronpa Another Episode: Ultra Despair Girls continues developer Spike Chunsoft’s tradition of strong storytelling and character development, while adding new gameplay mechanics and an upgrade in graphics. While the visual novel style of the past games is still here, a focus on shooting and puzzle solving adds diversity to the playstyle without alienating the fanbase. The story follows Komaru Naegi, a high school girl who has been kept prisoner in a small apartment for the past year without explanation. One day, the door to her apartment is torn apart by Monakuma, the villainous robot bear from the original Danganronpa, and Komaru is forced to run for her life. After being rescued, she is given a hacking gun, capable of firing blasts of energy that can manipulate or destroy the hordes of Monakumas running rampant in the streets. 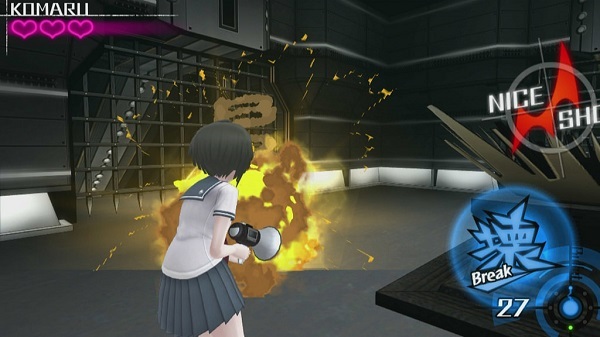 On the surface the game plays like a third person shooter, as Komaru explores her mysterious surroundings shooting wave after wave of Monakumas. As you come across new bullet types however, combat is more about creatively solving puzzles than mindlessly blasting away. For example, there are situations where you'll feel hopelessly outnumbered and don't have “break” bullets to destroy all enemies in an area. However, by using the “dance” bullet on a Siren Monakuma, you cause all the enemies in the area to swarm around him, allowing you to either use a “break” bullet on a Bomber Monakuma or a “move” bullet on a Ball Monakuma to take out the entire group at once. This approach to combat is often more satisfying than the normal run and gun style of play in most shooters and certainly helps make the long sequences in between story scenes flow better. Adding to this are arcade rooms where you get a bird’s eye view of the next area to memorize enemy placements and movement patterns to make it through without being seen in order to take out enemies with one shot. Even these parts can be cleared by going in guns blazing, however it will affect your end of chapter rating. Komaru receives a partner in the form of Toko Fukawa, one of the characters from the original Danganronpa. If you find yourself low on ammo or hopelessly surrounded, Toko can activate her split personality Genocide Jack who is immune to damage and is equipped with all sorts of special moves that deal a ton of damage. This mode seems to have been included to make the game easier for fans of the earlier visual novel style games who may not be up for a tense shooting experience. Despite requiring collecting a certain amount of batteries to activate Genocide Jack, I never found myself running out of them and it makes the boss fights way too easy, which is a shame since they are actually well thought out. The story, as expected of a Danganronpa game is the best part. No other series combines humor and horror so well. The characters are well written and have believable arcs. The friendship between Komaru and Toko, which forms the crux of the story is especially thoughtful, considering that in the original game Toko kind of got the short end of the stick in the character development department. The new villains, a group of elementary school students seeking to wipe out all adults and create a paradise for children, are also well written. Simultaneously cute and psychotic, their story arcs go into some dark places, and while many of them are irredeemable in their evil, the stories of how adults made them that way is poignant, tragic stuff. And finally, the way the story ties into the two existing Danganronpa games is just brilliant, tying everything together and beautifully bridging the games. To write this off as a side story would be a mistake, it is a crucial addition to the overall mythos. 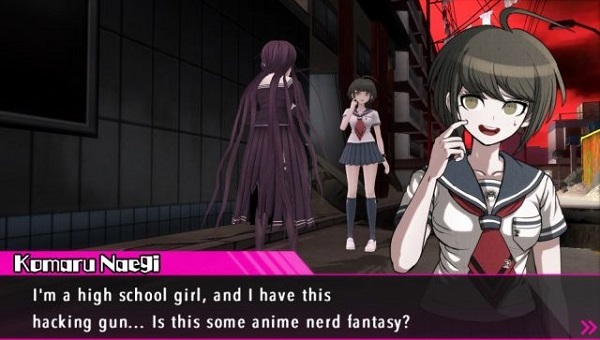 Danganronpa Another Episode: Ultra Despair Girls is everything I could have asked for in a new Danganronpa game. While the presentation has changed the spirit has not, and at a time when the Vita struggles for new games it is an instant classic. Danganronpa V3 is not without its flaws. Class trials don’t always pan out and pacing gets in the way at times, but this is still the same Danganronpa fans have grown to love over the years. The wonderful cast of characters and immersive plot coupled with a plethora of endgame options makes this a must-play game for fans and newcomers alike. In the end, what we have in Tokyo Tattoo Girls is by far one of the most shallow strategy games I've ever seen, with absolutely a joke of a story, and shallow and repetitive gameplay. It's just so utterly disappointing in just about every aspect. As someone who doesn't have any tattoos (although my wife more than makes up for me), I think I'd rather go get my first one than play this game any more than I had to. The trouble is, even though the game gets better after a while, the game never really changes up its design, so it always seems like you’re doing the same boring things, even if it’s just a bit more challenging. Everything is much too repetitive and lacks substance. Once again, it’s just another indie title that you’ll forget you ever bought. Goodbye Despair is a perfect example of how a sequel should be done. It doesn't try to change mechanics of the original but instead improves on them. By adding a engaging plot and spectacular narrative coupled with charismatic characters and an rewarding island worth exploring Danganronpa 2: Goodbye Despair is a title that any visual novel fan should experience. Sine Mora is one of the most beautiful shmups I’ve ever had the chance to play. It’s also a solid action title with a surprisingly deep story about the lengths someone will go for revenge.